I’ve written about the challenge of picking out gray paint before when I painted my down bathroom. It is a tricky color. If it has a blue undertone it can look baby blue on the walls. If it has too red of an undertone it can look purple. Not to mention the green undertones. I like my grays to have as little of an undertone as possible or a slightly yellow undertone which makes it feel warmer. 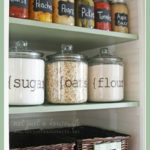 One of the next projects on my list is to paint our kitchen cabinets. I need to hurry up since it could snow at any moment. Right now it is in the high 60’s but in Utah, that can change very quickly! I collected paint chips from a few different places. I had about 20 different chips and I have narrowed it down to 9 colors. I would love your input, especially if you have used any of these colors before. I’m on a quest to find the best gray paint for my kitchen cabinets! My cabinets right now are a creamy white. Once I painted my walls white, they just seemed dingy. I have lived with them that way for so long because I couldn’t decide whether to go bold and paint them navy blue, or choose something more neutral. I finally decided to go with a medium gray since our kitchen door is blue. Here the top 9 picks with a few starred that I am more seriously considering. Behr Silver Marlin, Sherwin-Williams Mindful Gray, and Sherwin Williams Repose Gray are the current top 3 choices (although I do worry a bit that Repose is too light). I held up the sample of flooring we are considering and the flooring looked the best with those three since they are warmer and the flooring is a medium brown. The bottom two from Benjamin Moore came off quite blue against the flooring. Really, any of these 9 would work. I sincerely think they are all great colors of gray paint for cabinets. I would love it if you guys were to weigh in! What are your favorites? I would tape the paint colors to the stainless refrigerator- some of the grays may be complimentary and some may not be. This may help to eliminate certain colors. We are remodeling our home. We have painted so much!! Behr Marquee is the best paint. I tried others and now only buy Behr. Second, the best thing for you to do is pick your favorites and go get sample containers today. Paint done on different cabinets. Sit with it for 24 hours. You will know within a few hours which one you love though. Sometimes, you will know right away. We all could tell you our favorites, but you need to go get samples. We are not in your kitchen. Oh, sand, sand, sand. Wash the cabinets. Then prime. Behr has a primer in its paint and it is awesome. But, our “test” this weekend painting resulted in better coverage with a primer underneath. Especially for long term wear on cabinets. I love your posts. Good luck. If you need any more pointers, just ask. I agree with Tiffany. I find that I am always happier with my paint decisions when I’ve looked at the colors in the actual room throughout the day with the different lighting. Good luck! I like the Light French Grey, it doesn’t seem to make the white look old. If you want more of a shade darker of the white walls, Light Repose Grey. 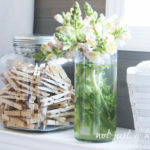 I agree with Tiffany’s suggestion to get a few sample jars of your favorites and test them out in YOUR kitchen. The samples cost 3 or 4 dollars each. I like the Still Gray, but know it is difficult to commit to a darker shade, but it would look great with white walls. Second choice would be Silver Marlin. Please post how you are prepping the cabinets before painting as I am going to attack this project at my house after the holidays. I am actually getting new doors for the cabinets that will be unpainted but when I painted these cabinets before, I lightly sanded, cleaned them really well, and used an enamel paint. Luckily they now have water based enamel but I used oil based. Personally, I like Still Grey best. The others seem to have a tint- Mindful looks a little pink to me. Not to throw a wrench into the works, but have you considered lighter on the uppers and a darker on the lowers? I’m loving that look, but it may only work in a large kitchen (which I don’t have, sadly). I also think you should put your favorites on a few cabinet doors so you can see them in all different lighting. I recently fell in love with SW’s color of the month (Emerging Taupe) and had several gallons made up only to find it was too pink on the living room walls. They don’t take returns, unfortunately. Whichever color you choose, I’m sure it will be beautiful! I took down most of my upper cabinets and put up shelving or I would have done two colors. I love that look! 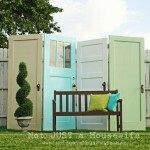 Painting a few doors different colors is my plan. You can never tell with just a little tiny swatch! We almost painted ours grey this spring but once the sampling was done it was all too cold. We have wood floors and stainless grey appliances and “palm springs tan” by glisten ended up being the best grayish but deffinately tan result. I tell people tan and they make faces like they’ve sucked a lemon but it looks good! We are at the point where some trim needs added and grout needs done then the kitchen will be finished. Carrara island and back splash, soapstone color counters, look great and it’s warm. I want through the same thing looking for a French grey. I like tan! That is why I love the grays with a warmer undertone. I don’t want it to be cold or drab. I think your kitchen sounds beautiful! I have used many SW warm grays. Consider the amount of natural light in your kitchen. If you have a lot of light you can use a darker color and if not, go lighter. If still undecided, I’d paint a board with each color or a cabinet door in each color-stand back and observe during daylight and again at night. You can also ask at SW what colors are in each paint to know the undertone color. Good luck! SW Mindful gray seems to be the cleanest gray to me. I don’t see a hint of blue or purple. Happy choosing to you! That is the one I am leaning towards! You said you do not like the blue undertones, but if your door is blue already, the blue undertones just might pick that up and be very complimentary! Just a thought. Plus the suggestions of others to get samples and paint some areas to test. That’s a good point! I am going to be getting sample jars and painting some of the doors before I commit to one color. I guess we will see! That is the color I am considering the most. I am glad to hear it looks so good in their kitchen! No personal experience with gray, but also suggest you do a larger sample and put it on the wall. 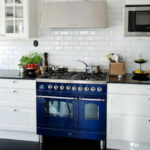 It really depends on the lighting in your kitchen and the reaction with the blue door and the flooring. I have maddening wallpaper in my kitchen which looks bluish when I tried greenish curtains and greenish when I tried blue curtains. Took a sample to a fabric store looking for the perfect match and even the store owner couldn’t figure out if it was blue or green. Our eyes play such tricks on us. On name alone, Aloof is my still my fave. I have Repose Gray on my kitchen walls and Hammered Zinc on my cabinets. I love both grays and Hammered Zinc is a bit darker/deeper than Repose( I know Hammered Zinc is not one you have chosen). But I think Repose Gray is awesome. I used it for my whole first floor- small townhouse. It looks amazing no matter what lighting is going on- esp natural sunlight of course. Good luck! 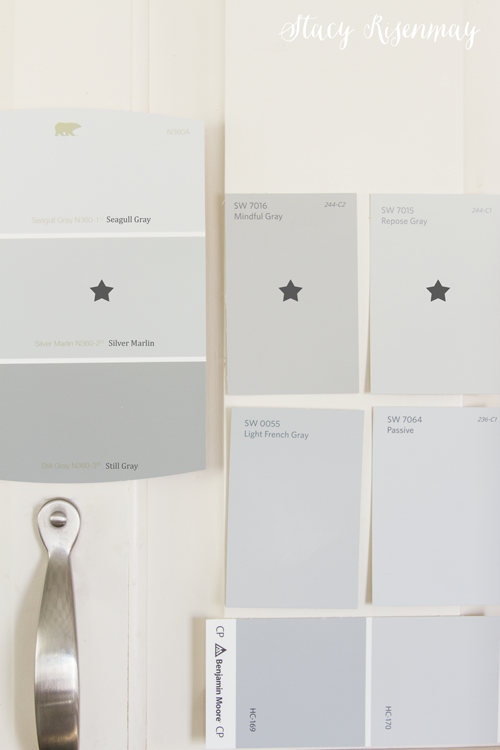 All of these have a blue undertone….have you looked at Revere Pewter HC-172 from Benjamin Moore? It is gorgeous, would look fantastic on cabinets in a white-walled kitchen. By the way, where in Utah do you live? Our son is moving to the Orem/Provo area soon!! I’ve painted my condo top to bottom three times over the past 18 years w Sherwin Williams. Their paint is worth every penny! 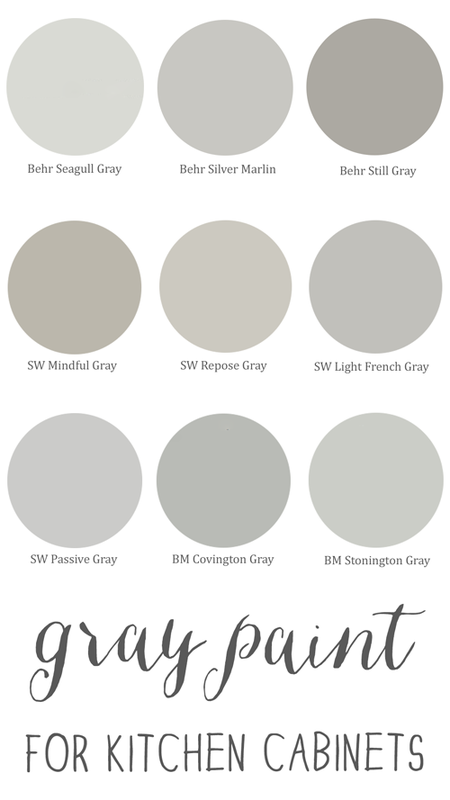 My fave gray (of your choices) is Passive Gray. It’s appears the clearest, cleanest color against your white. As suggested by many of your blog followers…. 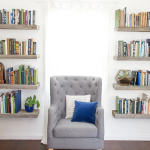 get sample colors & paint swatches for best idea before purchasing. Of your top three: Silver Marlin stood out to my eye as the middle ground of not too dark or not too light. But that is just an opinion. 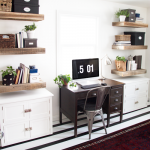 Listen to what people are saying about the lighting you have in the room throughout the day AND at night when you just have your house lights on. What will your sample colors look like then? It takes a big commitment to change your cabinet color. Once I tried to paint them an apple green and after a few brush strokes I almost cried, than washed it right off! Instead I painted a few shelves that green and they now add pops of color in my mostly white kitchen. Just sayin! I did apple green accents in my sister’s kitchen and loved it! Please check out Laurel Home. She has an excellent post on choosing the right paint colors. My suggestion is to go with SW or BM. After several disastrous results of having paint colors mixed, it’s better to go with a paint that is true in color. It may cost a little more to go with a quality paint like BM or SW but in the long run it pays off. My last Behr experience was just awful. Once the color was mixed it was totally different on the walls, think Steel Magnolia’s pepto pink with a slight peachy tone. As it is not returnable, I bought a can of pure white and had it mixed in, only to have two gallons of a lighter shade of ugly. Do check out BM Revere Pewter, it’s the perfect greigh, would look great with your walls, flooring and door. 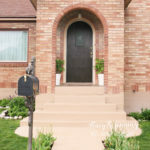 Correction, the actual site is Laurelberninteriors.com, for choosing the right paint colors. I like the Behr Silver Marlin. I went through about six grays before setting on Loft Space. Good luck. Silver Marlin by BM looks gorgeous to my eye. Repose Gray by SW also looks good. I would suggest you look at BM Revere Pewter also – I have heard it’s extremely popular right now because it supposedly looks good in every light and with almost any other color. I’m sure whatever you choose will be lovely. Good luck and can’t wait to see the final reveal on this project! Still Gray … The dark against the white/cream would be striking! I considered the three you had starred. I chose the Mindful Gray. It’s a nice medium gray and I see just a hint of brown to it which sounds like it would go well with your floors. I liked the other two you had starred but they both have green undertones and while I like that, it isn’t what you indicated you wanted for your cabinets. I had my walls throughout the main part of the house a beautiful gray last November. I hated it as soon as it was done because it looks light blue. And now, it does look exactly like the sample but I couldn’t see that before the walls were painted. Repose Gray. I’m a Benjamin Moore fan. I meant to say- Sherwin Williams fan! The blog, Content in a Cottage, has an interesting picture of a staircase painted in a dark gray with accents in a natural finish (11/19). Rather an interesting combo. I’ve painted tons of cabinets and countless rooms for myself and clients as a contractor. Behr and SW don’t hold up, especially on cabinets, unless you want to paint every 2 years. Benjamin Moore Advance is the only paint we use on woodwork and cabinetry. BM can color match if you select a shade from a different manufacturer but want it in their paint.